At Dental Associates of Delaware, we are proud to provide quality cosmetic dental treatments to our patients near Brandywine / Wilmington, Middletown and Hockessin, Delaware. Cosmetic Dentistry enhances the beauty and health of your smile. Your smile communicates a lot about how you feel about yourself and even the smallest flaw can keep you from feeling your best. There are many procedures available today to improve the aesthetic quality of your smile, straighten your smile, and repair or change the shape of your smile. Whether you want a brighter smile or would like to fill in a gap between two teeth, our Brandywine, Hockessin and Middletown, DE dentists offer a variety of cosmetic dental treatments to help keep you smiling your best smile. As its name suggests, a crown is a tooth-shaped “cap” that is placed on a tooth where there is no longer sufficient structure left to place a filling. A crown is usually recommended after root canal treatment; it is also appropriate when a substantial amount of tooth structure has been lost when a tooth is cracked, broken or fragile. A crown can be made using ceramic, porcelain or gold. The dentist will discuss the benefits of these materials to help you choose the best solution for your needs. 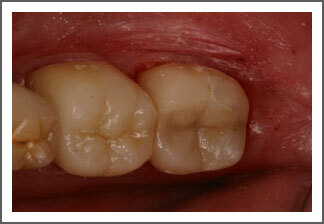 In creating a crown, a model is taken of your teeth and a laboratory creates your customized crown from the model. Once we receive the finished crown, your dentist will place your crown on the prepared tooth and will ensure your comfort and proper bite. 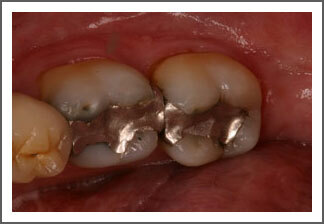 A crown is truly a work of art and patients are often amazed at the final results. Teeth whitening is a bleaching process that reverses discolorations of enamel (the outside layer of tooth structure) to create a whiter, brighter appearance. No natural tooth structure is lost during this process. At Dental Associates of Delaware we offer At-Home Whitening for patients at our Brandywine, Middletown and Hockessin, DE offices. At-Home Whitening: This teeth whitening option uses whitening trays that are fitted to your teeth. 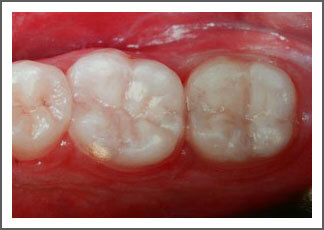 Once the trays have been molded and created to fit your smile you will be able to take them home to get started. A teeth whitening solution is placed inside the trays before you place them over your teeth. The trays are worn for a period of days or weeks depending upon what is prescribed for your individual situation. Often, nighttime application alone will achieve the results you desire. Have you wondered what it would be like with straighter teeth? Or perhaps you’ve always wanted to close the gap in your front teeth but weren’t sure how it would change your smile. With digital smile imaging, now you can see what your smile could look like even before we begin your dental treatment. Digital imaging technology is used to show you the physical aspect of your planned dental treatment even before the dentist begins. Find out if digital smile imaging is right for you by calling any of our offices and see what your new smile will look like! Do you suffer from pain around the top, front and back of the head? Have you, or do you experience pain in your shoulders, ear congestion, or tingling in your fingertips? Does your jaw joint have pain or “pop” when it opens? All of these symptoms can be a result of a malocclusion or the improper relationship of your teeth. 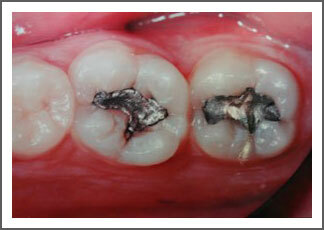 This poor tooth relationship can be a result of the wearing of teeth due to grinding. Grinding is a direct result of muscular activity. In other words, the way our muscles are trained and programmed can lead to pain, soreness and tooth wear. Through Neuromuscular Dentistry we are able to reprogram your muscles. We are able to reposition the muscles to where they are most comfortable. The instrument we use to accomplish this is referred to as the TENS unit. A similar unit is also used in physical therapy. Once we have determined where your muscles want, and should be, a simple adjustment of restorations or natural tooth structure can keep your bite in the position which is optimal. If you suffer from a “collapsed” bite, or a bite that is too closed, we incorporate a clear orthotic to reposition and correct your bite. We have seen tremendous results from these treatments with a great amount of success. Often the complete elimination of pain and debilitating symptoms occurs. Invisalign® straightens your teeth without wires and brackets. Instead the procedure uses a series of clear, customized, removable appliances called aligners. It’s virtually undetectable, which means hardly anyone will know that you’re straightening your teeth. The Invisalign System combines advanced 3-D computer graphics technology with 100-year-old science of orthodontics. Invisalign aligners are designed to move your teeth in small steps to the desired final position prescribed by your dentist. Each aligner is precisely calibrated and manufactured to fit your mouth at each stage of the treatment plan. Your first step is to visit our office to determine if Invisalign is right for you. After sending precise treatment instructions, Invisalign uses advanced computer technology to translate these instructions in a sequence of finely calibrated aligners – as few as 12 or as many as 48. Each aligner is worn for about two weeks and only taken out to eat, brush and floss. As you replace each aligner with the next, your teeth will begin to move gradually – week-by-week until the final alignment prescribed is attained. Then you’ll be smiling like you never have before! If you want to learn more about Invisalign and how it works, please click here. Are you or a family member interested in one of the cosmetic dental treatments outlined above? If so, please contact our Brandywine office, Middletown office or Hockessin office for more information or to schedule an appointment. Whether it is Invisalign, veneers, teeth whitening or another cosmetic dental treatment, the dentists at Dental Associates of Delaware have the experience and state-of-the-art technology to provide you with the beautiful results that you desire. We look forward to serving you and helping you achieve the beautiful smile of your dreams!